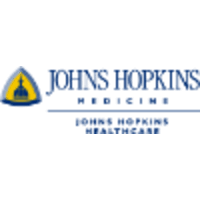 Johns Hopkins Health System employs more than 20,000 people annually. When joining the Johns Hopkins Health System, you became part of a diverse organization dedicated to its patients, their families, and the community we serve, as well as to our employees. Career opportunities are available in academic and community hospital settings, homecare services, physician practices, international affiliate locations and in the health insurance industry. Great careers continually advance here. The environment and release manager role plans, schedules, and coordinates activities amongst all internal (IT staff/teams, business customers, etc) and external (vendors, service providers, third parties, etc..) stake holders related to software releases, updates, and data refreshes for all production systems and platforms across all related regions (Dev, Test, Prod) and within the boundaries of all interconnected systems. The environment and release manager helps software/hardware/configuration changes, enhancements and updates move into the proper environment such that project testing activities are aligned, coordinated, and do not overlap. The environment and release manager will ensure that the correct and refreshed data is available across the development and test environments/regions as needed to facilitate testing and quality assurance activities. Theenvironment and release manager will maintain the a calendar of scheduled and on-demand requests related to environment management and release testing, and will coordinate and approve which projects can test in the respective environments. The environment and release manager is responsible for the management of thesoftware releases that are in each environment, making sure each version is kept accurate and appropriate to support each specific team’s needs for development, testing, and quality assurance, in order to follow the proper promotion regiment and path toproduction. The environment and release manager owns the overall environment configuration plan, which closely tracks and manages who is testing functionality in which environment, and for which release request, and also prevents unintended overlap and conflicts during testing. The Environment and Release Manager Job function works collaboratively with all participants and release stakeholders, and is supportive of vendors, developers and business and IT testers as they set up their build release in dev/test environments. Responsible for the management and coordination of all technology related release activities for all JHHC platforms. Establish and setup industry best practices for theRelease Management lifecycle. The environment and release manager will ensure release management lifecycle integrity by scheduling and coordinating the management ofenvironments across the enterprise for multiple applications across various portfolios. The releases can be inclusive of application updates, operating system patches, security improvements, hardware upgrades, Projects and Programs. A combination of a 4 year college degree in computer science or related technical field in addition to 2 years work experience providing Environment management and configuration management. Position requires working knowledge of software development, project management, environment management, configuration management. Experience with multiple Release Management software tools. Maintains the release schedule for all core services and ensure alignment across environments for key partners and vendors. Continually work towards making improvements in the release process and ensuring that the environments and data needed for testing are present at time ofrelease. Lead and co-ordinate the Go-Live activities including the execution of thedeployment Plans and checklists. Experience with the Microsoft stack including .Net, ASP. Experience with Team Foundation Server.